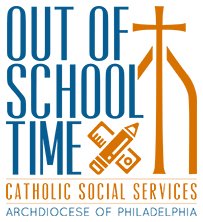 St. Gabriel Out-of-School Time Program (OST), located in the Greys Ferry section of Philadelphia (19146) provides creative programming for children in grades K-5, ages 5-11 in afterschool hours and seven weeks during the summer. St. Gabriel OST offers homework help, sewing club, drama club, Vetri Cooking Program, and STEAM based PBL projects. PBL is the focus of programming at St. Gabriel OST. Most of the PBL units center around Science. However, Saint Gabriel OST is working to include more literacy into its PBL units as well as general programming. Rigor, enrichment, and engagement are the words that best describe the programming offered at Saint Gabriel OST. ENROLL IN SUMMER CAMP NOW! CLICK HERE FOR REGISTRATION FORMS.